Newly inducted Jai Narayan College Head Prefects aspire to become leaders who will help lead the country one day. Head Girl Esther Rosibula says she wants to be the change she wants to see in the country and wants to serve in the government in the future. Rosibula says she wants to study Biomedical Science after completing Year 13 and hopes that her role as a leader in the school will boost her confidence and give her certain qualities that will help her succeed in her chosen field. 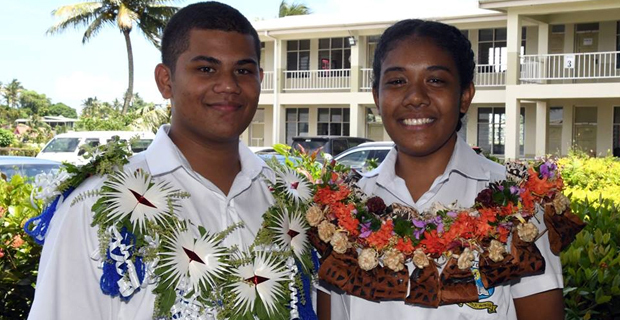 Head Boy William Fonorito says his future goal too is to serve in the government. He says for now he wants to help the school in achieving a 100 percent pass rate and he wants to help as many students as he can academically. Fonorito says he is yet to decide if he will pursue Commercial Law or Software Engineering after completing Year 13.